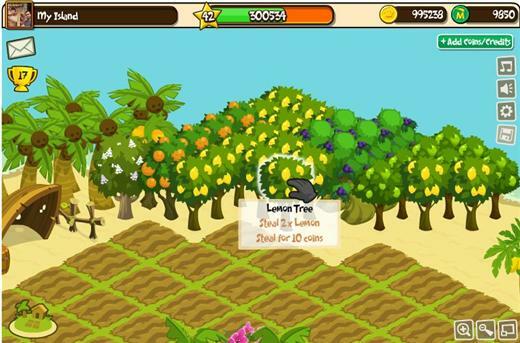 Island Paradise is a Facebook farming game from Meteor Games. Escape to your very own Island Paradise! 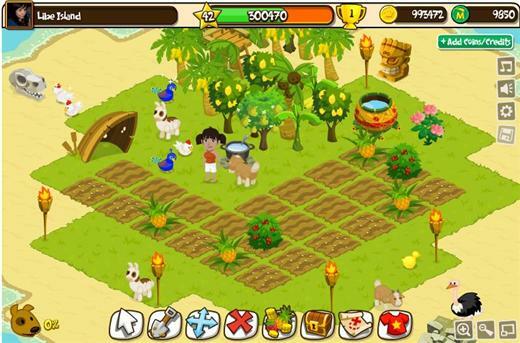 Grow exotic crops, raise animals, cook recipes and build your dream home. Check out your friends’ custom islands and see what they’re up to. While there, will you help them or help yourself to some of their harvest? Join your friends and 20 million fellow castaways! Decorate your tropical island, care for animals, mix your friends exotic drinks, and master delicious recipes. Visit your friends to help with their crops – or help yourself to their harvest!